First, the book’s style. Sometimes it reads like recovery literature. In her 20 years of being a vegan, Keith suffered mightily, both from countless health problems and moral torment. Sometimes it reads like the literature of religious awakening. Out of the darkness of veganism, she is reborn into the light of meat-eating. There’s also a coming-of-age component. Before she was a child, now she has “adult knowledge.” This recovered, enlightened, knowledgeable adult now speaks to us as a prophet, a healer. She issues fervent commandments. She tries to save us from our agony, our childishness, our stupidity. Phew. So what’s the adult knowledge she wants to share so we too can be saved? I’m going to distill, here, but I’d say her primary message is that life comes from death. To wit: there are worms and little creatures in the soil, mice in our fields, predators in forests, bacteria in the rumens of cattle, and such like. Not only does life come from the death of animals, but it also comes from the death of plants. Thus, any diet we can choose will involve the death of plants and animals. Keith didn’t know these things during her 20 years of wandering in the vegan desert. Now that she’s found it out, she wants us to know too. But what does it all mean? Isn’t there a difference between eating cows and eating carrots? No, she says. Part of her adult knowledge is a wildly anthropomorphic view of plants. On her view, plants make choices. 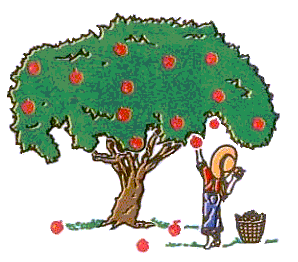 Apple trees want us to eat their apples, and want us to defecate on the ground, so that the seeds can become new apple trees. If we don’t do this, then we’re not doing what the tree wants. Keith even thinks plants are sentient. So are all the tiny creatures in the soil. Which makes me think: there is adult knowledge even in a dictionary. Look it up! A sentient apple tree would consciously want things and feel things. It might, for example, enjoy the gentle tug when someone picks an apple, feel pleasantly lighter after the picking, perhaps get mad at people for defecating in the wrong places. Sentience means feeling. All signs are that feeling takes place in brains. No brains in apple trees, no feelings. No brains in bacteria, no feelings. It probably also takes a brain with a certain amount of sophistication for there to be feelings. It does not at all go without saying that worms, because of their nervous systems, have feelings. As to values, I’m equally unimpressed. In Keith’s universe, there’s absolutely no difference between driving a spade into the ground and accidentally killing a snail, and driving recklessly down a busy street and killing a child. This hyperegalitarianism is essentially mystical and religious, not rational, and certainly not enlightened. Some readers of this book are going to feel much better tucking into their next hamburger and ignore everything else. In fact, Keith preaches a gospel of abstinence. It’s just that she’s changed her mind about what we should abstain from. From being super-vegan, she goes super-green. Don’t have children, she says. Don’t drive a car. Don’t live in a city. Don’t live in a place where food can’t be grown locally. And there’s more. Don’t support agriculture. You heard that right—the crime of crimes is planting annual crops. So: no wheat, no oats, no corn, and (for God’s sake!) no soybeans. Eventually topsoil is damaged, so agriculture isn't sustainable. So: build yourself a little hut, get yourself a goat and some chickens. I’m pretty sure she’ll let you have a garden, but only if you fertilize with goat and chicken manure. Heaven forbid that you should walk into the Home Depot garden shop. What next? If “Thou shalt be green!” replaces the ten commandments and the categorical imperative and the greatest happiness principle, how may I fill my time? If we mustn’t ship in oatmeal from across the country, may we ship in books? Can I have a computer if it’s manufactured in China? Do I have to dress in skins? Does your ultimate greeniac have a goat or not have a goat? I think that’s the fascinating (or not so fascinating) question this book is really about. She says: get the goat. It’s good for you too. She never met a low-carb salesman she didn’t love. But what about the goat? Remember: vegetables are sentient. Apple trees get mad when we use flush toilets. So the goat matters, but not especially. I say: the goat matters, and yes, especially. The city folk matter, because there’s a ton of them. There’s no point in contemplating the end of agriculture, because you need it to feed 7 billion people. And let’s not kid ourselves: it’s complete nonsense to think that our giant herds of livestock are easy on the earth, while crops are brutal. Livestock needs lots of space. They displace wildlife. They use tons of water and erode land. We’re already using 1/3 of the earth’s non-ice land surface for livestock. Responsible environmentalists know that we need less meat, not more. Putting aside animal issues, this book raises an interesting question: if the ultimate green life is not a good life, do we have to choose it anyway to keep earth habitable for as long as possible? I don’t really think so. What the point of chugging away in our gardens, childless and with only the provisions that we can get within bicycling distance? I think I’d get tired of reading the super-local poets and having quilting bees or whatever it is that’s supposed to fill my time. There’s a reason people gave up that life 10,000 years ago. They preferred a different one. I prefer a different one. If we really can't live a good life on earth forever, then so be it. Reading this book made me want to run out and buy Thomas Friedman’s book Hot, Flat, and Crowded, with all it's clear-eyed realism. We’re not going back in time, we’re going forward. People rarely travelled farther than one can on a bicycle or on foot until just 200 years ago, when the railroad was invented. Those local folks did great philosophy (how far did Kant or Spinoza travel?) and wrote great music (think of Bach). Their life had fewer distractions, so they could concentrate on what matters, not on what the media feed us. As to not having children, well, fewer would be better. Amos, There was tons of world-wide trade 200 years. People road horses and got on boats. For example, they got on boats to America. Kant read books written in other countries, Bach was inspired by ideas from other countries. Their lifestyle depended on resources that came from destroying forests and wiping out species. They didn't live a green and local life any more than we do. Jean: A very small percentage of the population got on boats and traveled to America 200 years ago. his heirs. All serious books, classics, nothing like the instant book you review in your post: they did not cut down trees to produce pop books, books that exist only to fill one's shopping cart and which are forgotten two days after one reads them. I agree with you that it's impossible to go backwards, to turn back the clock. It's also evident that technology has brought lots of benefits to humanity. Still, we have lost some things too. I have the sense that contemporary life has too many distractions, leaves people few opportunity to be alone with oneself, and being alone with oneself is a necessary, although not sufficient, condition for great art or great books. 200 years ago people in Europe were drinking tea from China, playing the piano on keys made of elephant tusks from Africa, traveling long distances not often, but as needed. It's all just a matter of degree. No, they weren't eating grapes from Chile like I am, but they weren't living "the local life." If you really, seriously live the local life you will have extremely limited options. There will be few things to eat, read, do. I think that's lovely for a two week holiday, not lovely as a way of life. most Europeans and most Latin Americans 200 years ago never travelled more than 100 miles from where they lived in their life. Only the richest people benefitted from the world market 200 years ago. And while I'm as distracted as the next person, while I click on stories about Tiger Woods and about Sarkozy's marriage, I recognize that distraction is distraction, the junk food of the mind. Tea drinking wasn't common 200 years ago? That surprises me. In any event, I don't think the source of goods has much to do with multitasking and distraction. If I order a book from amazon and drink tea from China, I can sit down and concentrate just as well as I can if I'm working in my garden. Probably even better, because honestly I find reading a book more riveting. tea had become the national drink in England, which means that you're probably right about tea drinking being common 200 years ago. My doubts about tea drinking being widespread come from the incredible povery in which most people lived 200 years ago. Read Marx, whose descriptions of working class conditions (less than 200 years ago) come from British goverment sources: the working class in England during the industrial revolution did not have much money to spend on tea. Maybe you have greater powers of concentration than I do, but high-tech living distracts me: I found it easier to sit down and read long, serious books before the computer arrived. As a matter of fact, I once spent a summer in a cabin, without electricity, where I needed to chop wood to cook and to heat water, and my reading list that summer was impressive, including Being and Nothingness. "But anyone who wanted to attempt this would have to approach it like a war, like a serious resistance movement. Hitting Weyerhaeuser's computers once might be fun for a day or two, but it's not going to have any long term effect. But a coordinated effort of attacks against the electric grid, the biggest financial markets, and a list of the worst environmental offenders would. It would require planning, discipline, and tremendous self-sacrifice on the part of activists. But it could be done. It would create social upheaval and possibly civil unrest. The average American city has enough food to last 13 days. Economies would have to go local again, and fast." "It's not useless to take down that cell phone tower if I know that tonight five hundred other people are doing the same thing." "Vast numbers of men are predators, and the looming industrial collapse and civic chaos are going to provide them with more opportunities to act like it. Perpetrators don't change. No form of therapy or rehabilitation makes a dent in their sociopath entitlement. So to put it bluntly: shoot them. When the bullets run out, I've got two more words: long bow. The long bow is such a lethal weapon that the church tried to ban its use in the middle ages. ... Bullets are available now. Why are we accepting the unacceptable? We know who they are because they're already preying on us. And yeah, every perpetrator is someone's son, someone's father, someone's Mister Special. Get over it. Every perpetrator has to be stopped." I don't mean to defend sexual predators or the current highly dysfunctional global civilization. I also don't mean to defend pie-ing Lierre Keith. But there seems to be something of a disconnection here. From the quotes, Keith doesn't seem too bright to me. You knock out internet, and a lot of critical patients are going to die fast. You knock out cell-phones, and victims of sexual predators aren't going to be able to call the police. A long-bow against a pistol will lose. In a state of anarchy, without police, without internet, the losers will be the weak, the old, and the very young. Here in Chile, after the recent earthquake, all communications went down: we went "local": result, looting and sexual predators on a holiday, the strong grabbing food, TV sets, the weak being at their mercy. In 13 days of being "local", obviously no one is going to be able to grow food: probable result, the strong, that is, young males, will eat the weak, children, women, etc. Taylor, Wow, what quotes! I looked around for a site answering her points one by one, because somebody needs to do that. I shall go have a look... At first I was going to attempt some point-by-point refuting myself, but then I started thinking this was a serious waste of my time. Yes, a primitivist. I don't think that's the kind of environmentalism the world really needs. As you probably already have discovered her blog isn't functioning, but there is an email address in her website. Maybe you can invite her to answer you in this blog. Feel free to delete my comment at 1:37 P.M above. Most authors find out on their own what people are saying about them online and choose whether to respond or not respond. Sometimes it's profitable to have a conversation, sometimes not. with Ms. Keith. She seems like a very sensitive, intelligent woman, who has probably had some horrible experiences and believes that those horrible experiences occur more frequently than they actually do. I find it difficult to dislike her. In fact, Ms Keith, if you read this, I no longer find you to be "not so bright," as I mistakenly said above. Woha. That's too rich for my blood. She kinda reminds me of my college days. Anyone who ruminates: "one of my favorite Andrea Dworkin quotes..." is someone I would be inclined to avoid. So Lierre Keith believes that "Apple trees want us to eat their apples, and want us to defecate on the ground, so that the seeds can become new apple trees."